Even with smaller needles, this is still a relatively quick and easy knit. I finished the front and back sections last night, and did the Kitchener stitch seam. 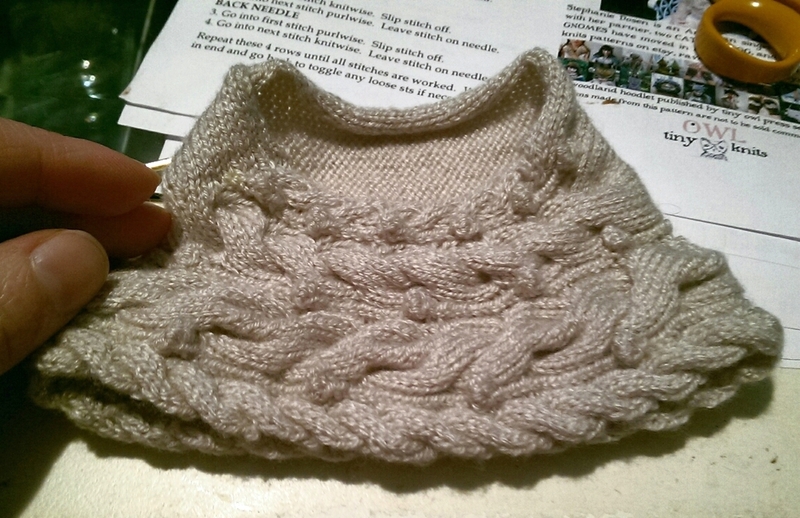 I already picked up the stitches around the neckline for the hood, and am a couple of cable repeats into it. For this smaller size I only did nine cabled repeats on the back. When I do a second one in this size I will try it with ten repeats and see how it looks. But for now this gives a good fit on a wide range of dolls, at least sans the hood. I did a quick test fit on my 16" Tonner Sydney doll out of curiosity, and it was a good fit. 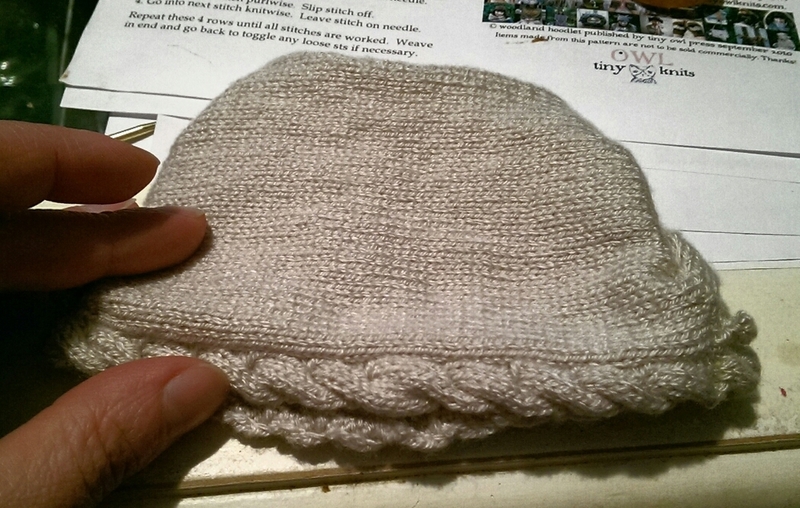 I think if I had ten repeats, that extra half inch or so would make it too slouchy, but we will see on the next one. The front and back completed, and seam done. The beginning of the hood. You do need to be careful when you pick up the stitches so you distribute them evenly around the neckline. You pretty much are skipping 2-3 stitches between picked up stitches. If you picked up every stitch around, the hood would be huge!